GM Trader Greg Smith will join Fleur Studd, George Milonas, Carl Greco, and Rocco Tripodi as Trader Representatives on the new Queen Victoria Market Committee of Trustees. The Committee, appointed at the 27 November 2018 Council meeting, will provide the highest source of strategic advice to Council on both the $250 million renewal program and the strategic operations of the market. Chaired by the Lord Mayor, the Committee is comprised of 13 members, including market traders, community representatives, independent nominees and Councillors. • have a material impact on trader, customer and community experience of the market precinct. 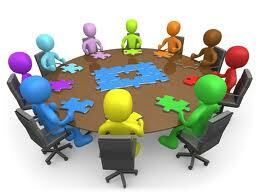 Further details about the committee can be found here – Committee of Trustees Terms of Reference.